On this class you can learn how to cook a classic Tuscan dinner. 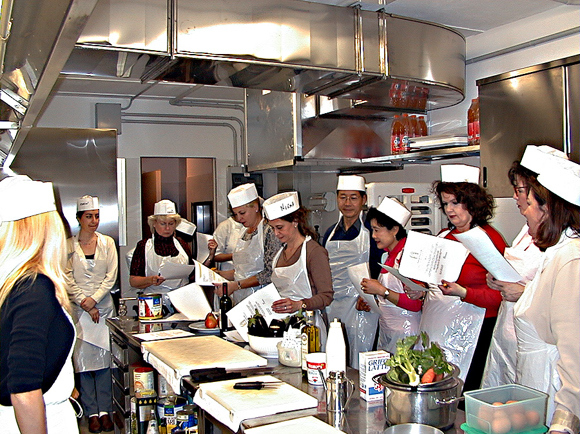 In a top class cooking school you will learn how to make a four-course meal (appetizer, first course, second course and dessert) under the expert guidance of a multilingual chef. The course will be followed by dinner with the dishes you have prepared, accompanied by a good Tuscan wine in an amusing, friendly atmosphere. Meeting point: Central location in Florence (further details will be provided after booking).